Not all jellies are created equal. And not all jellies are sweet. My Red Pepper Jelly is definitely not sweet and is most definitely the best. 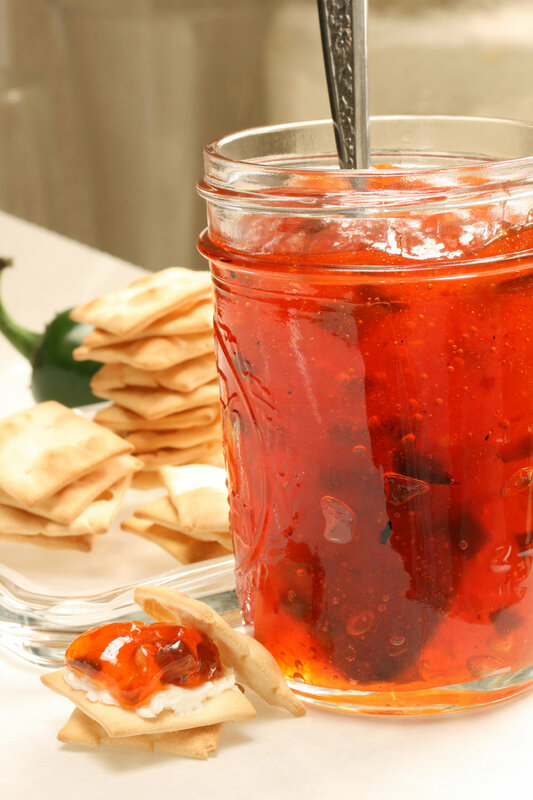 This savory jelly is great with cheese and crackers, as a spread on scones, or even as a glaze for meats and vegetables. It's also the perfect complement to a burger or a sandwich. Some people have even told me that they like it as a toping on ice cream. Personally, even covered in my amazing red pepper jelly, I will still hate ice cream. So you're on your own with that last suggestion - a girl has to draw the line somewhere. Step #4: Put all ingredients, except pectin, in a heavy saucepan and bring to a constant boil, 4 to 5 minutes.